TheBlueGuerilla: Calls to Investigate Labour Council After 'Secret' Account Found Stuffed With Taxpayer Money. Calls to Investigate Labour Council After 'Secret' Account Found Stuffed With Taxpayer Money. SOURCES have revealed to tbg that the Labour Party in the North East has gone into damage limitation mode as a series of sensational scandals have rocked the constituency Party in Hartlepool. 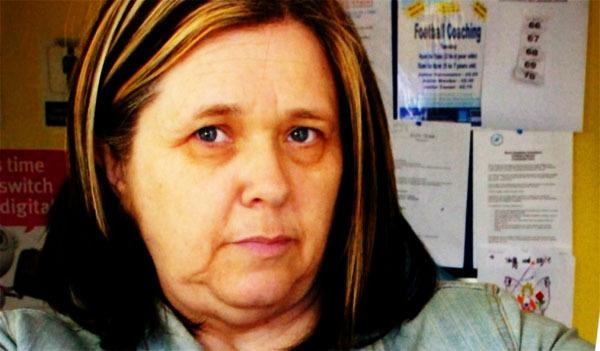 tbg can reveal that a taxpayer funded charity ran by a Labour Councillor in Hartlepool has been found guilty of failing to pay a cleaner the national minimum wage. Since then the charity has been closely scrutinised and has come under fire over the questionable fashion in which it allegedly receives money from Hartlepool Borough Council. An audit carried out by Hartlepool Council has led to deep concerns about the charity which receives large sums of public money. An investigation has also raised questions as to how and why elected members of the Labour controlled council apparently gave the organisation a contract worth an estimated £1m without allowing any other bidders to apply. The charity Manor Residents Association is managed by Labour Cllr Angie Wilcox and has a number of other senior Labour councillors on the board of Trustees. Cllr Wilcox has been arrested on suspicion of perverting the course of justice and allegations of theft. Sources reveal the Charity Commission is now investigating the Manor Residents Association over concerns about the "wider running" of the charity. tbg can reveal that links between Labour Councillors on Hartlepool Borough Council and the voluntary sector are already subject to an ongoing independent public inquiry spear-headed by a leading anti-fraud lawyer. The findings are said to be "opening up deep cracks" within Labour which, until recently, stood solidly together to refute any claims of wrong doing. Two more Manor Residents' employees are now apparently taking the crafty charity to court. A supposedly "secret" bank account with £40,000 of taxpayers money in it has been uncovered, there are now calls for Eric Pickles and the Department of Communities & Local Government to step in and launch a full investigation into the seemingly dodgy & admittedly at risk Labour controlled Borough. An e-petition has been launched which calls for an investigation into financial practices within Hartlepool Borough Council, and is quickly gathering support. Speaking about the council shambles and the new petition, former North East Conservative Future (CF) Regional Chairman Shane Moore exclusively told tbg - "The people of Hartlepool are absolutely fed up of incompetent Labour Councillors setting up dodgy charities or CiCs and awarding each other huge sums of our money to frit away on pie in the sky projects whilst vital services and reputable charities are having their funding cut. "I fully support the new petition and I hope that with the help of TBG, CF and the Party as a whole, whether you live in Hartlepool or not, we can get enough names to really make someone in government take notice and expose Labour for the money grabbing hypocrites they really are." Sign & share the petition. Wow. Maybe I'm adding 2 + 2 and getting 5 but this is absolutely shocking. Its great to hear the comments from former NE CF chairman on this he is right that current CF executive there and local party need to tackle the Labour party head on when it comes to this issue. The public are sick of corrupt politicians wrapped up in the westminister bubble and locally their own politico party bubble. We need to show we are the party of local people, we can be trusted and we will be their voices. Good luck to conservatives locally fighting back against this corruption and shameful Labour party. Its great to hear the comments from former NE CF chairman on this he is right that current CF executive there and local party need to tackle the Labour party head on when it comes to this issue. He is a great local voice in Hartlepool and a big asset to the local conservative party. The public are sick of corrupt politicians wrapped up in the Westminister bubble and locally their own politico party bubble. We need to show we are the party of local people, we can be trusted and we will be their voices. Good luck to conservatives locally fighting back against this corruption and shameful Labour party.